The well-known expert from Vietnam was invited to deliver the splendid speeches on the knowledge of Vietnam investment policy, market opportunities, development strategy, and business management, etc. Johnny Shell,Vice President, Technical Services of SGIA was invited to deliver the speeches at the summit. 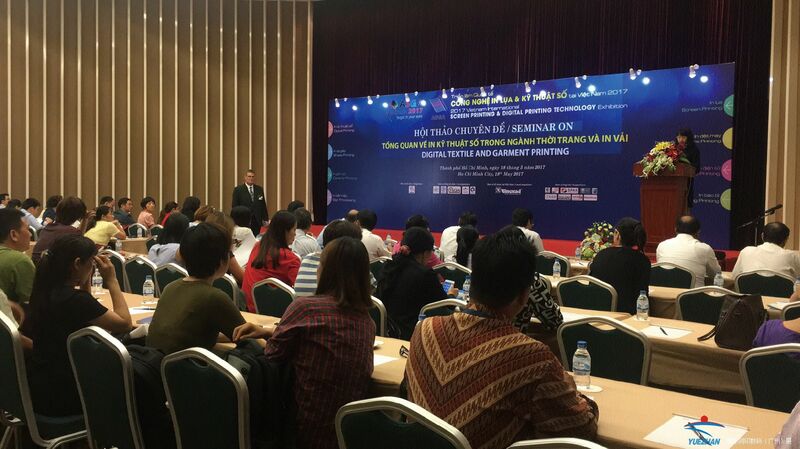 He explained the current state of digital textile printing platforms, a review of inks and finishing requirement; compatible fabrics, and the increasing numbers of applications for digital textiles like upholstery and home furnishings, apparel and fashion, as well as a look at the future of digital inkjet printing. 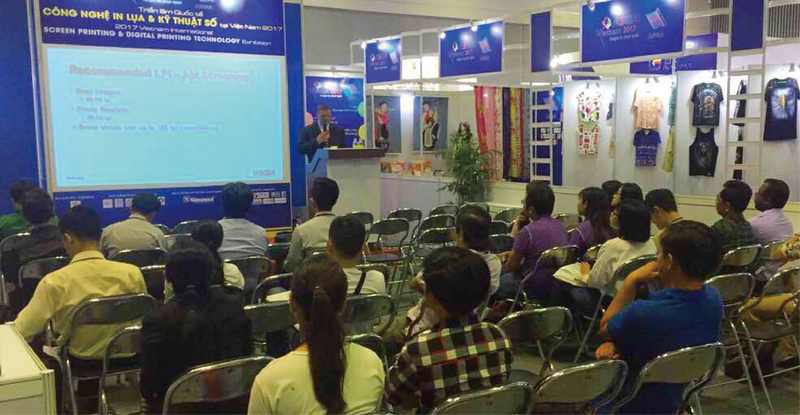 It attracted 152 delegates from over 80 enterprises coverage textile printing industry. Johnny Shell,Vice President, Technical Services of SGIA delivered practical hands-on printing opportunities in the education area during the entire show days. It focused on Screen Printing to Garment, 4-Color Process and Water Based Ink. Hands-on training not only allowed the visitors being trained to learn about the technology, but also gave the opportunity to perform the task simultaneously. Numerous special and creative products from Korea, Japan, Vietnam and Indonesia were gathered and displayed at ASGA Pavilion Area. 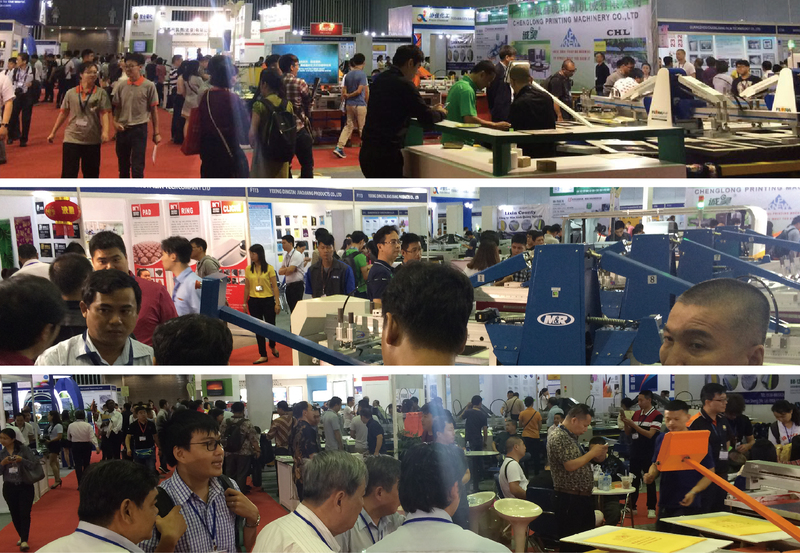 It demonstrated the leading-edge printing technology and creative ideas from different countries and cultures. At the gala dinner, 320 industry peers got together to celebrate the success of the show. The wonderful night with the beautiful dances, red wines, delicious food, musics undoubtedly left a deep impression on all of them.